What is the Cost of Power Washing? Commercial pressure washing can make your property look it’s best by removing stains, dirt, mold, and any other flaws that affect the look and foundation of your exterior walls, surface, and the driveways. 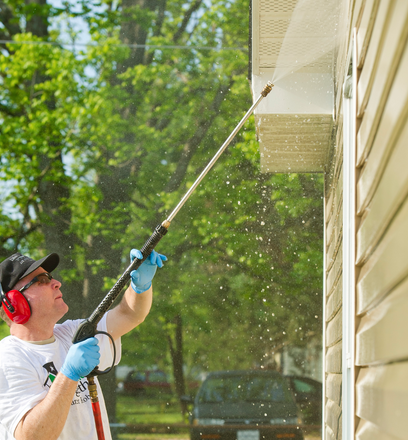 You can also consider washing before painting to improve the curb appeal of your property. 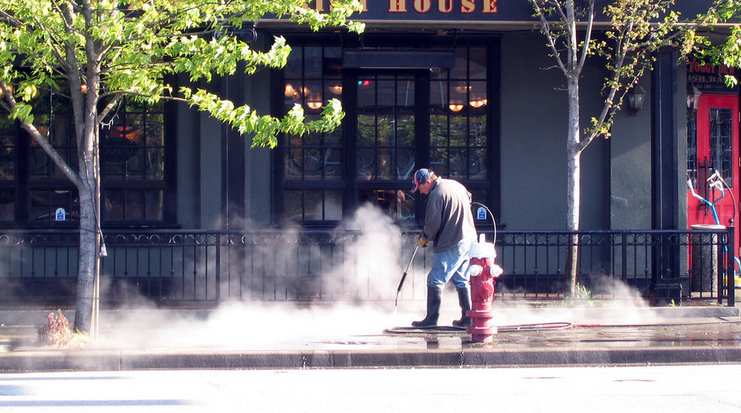 While thinking of commercial pressure washing, some important factors come to mind, such as the reliability of service, insurance, experience, and the cost of the pressure washing. You can expect all the above qualities from Crystal Clear Shine. We are experienced, well-trained, and insured to offer the best quality work at a competitive price. It is never easy to give a proper estimation of power washing costs without going through the details. We need to first understand your requirements, size of the washing area, and the purpose of the washing. The proper calculation of all these factors will help us to give the exact price. As mentioned earlier, it is difficult to give an accurate rate without an assessment of the cleaning area, material, and cleaning purpose. In most of the cases, we actually visit your property to give you a free quote and an accurate estimate. If it is not possible to visit the place, we focus on the time and equipment it will take to complete your job. It will not be difficult for us to understand how much time will be required to finish the job. As we are well-trained and experienced, we calculate the time depending on the size of your area. We will do a typical estimation of your properties including the driveway, exterior walls, surfaces, and any other places that you want commercial pressure cleaning. The equipment we use will also be another determining factor for power washing costs. For the equipment, there will be both the direct and indirect cost. It is easy to access to direct cost. Direct cost includes the chemicals, gas, and any other thing that is required for the cleaning. You can easily estimate all those expenditures. Indirect costs are related to those expenses that incur while performing the washing job. For example, the cost any permits or rentals we need to make would be an indirect cost. We need to calculate all types of the expenses in the cost to avoid any confusion in the later stage. Why Should You Work With Crystal Clear Shine? We operate with the purpose of offering the best commercial pressure washing for your properties. We are skilled, experienced, insured, affordable, and reliable. We are easily accessible as well. If you are interested in commercial pressure washing, you can call us anytime to discuss all the details including cost. We can offer you a free quote depending on your requirements. Call Crystal Clear Shine today at (910) 758-0114!